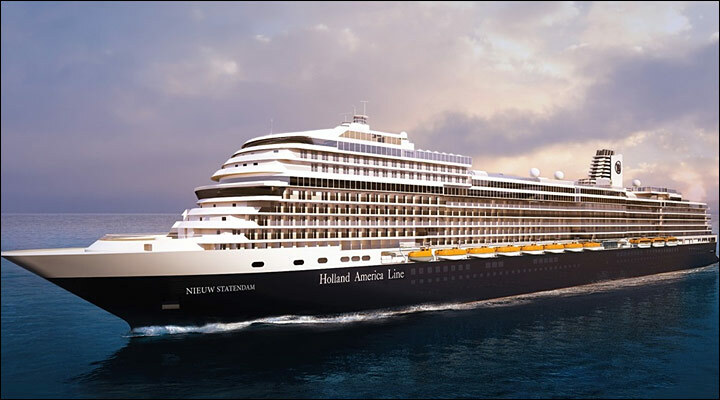 Launching in December 2018, ms Nieuw Statendam carries forward the nautical heritage, signature service and classic style for which Holland America Line is known—while raising the bar for 21st-century elegance. Sister ship to ms Koningsdam, she’s the second of the Pinnacle-class ships. With sophisticated décor and amenities, staterooms aboard ms Nieuw Statendam provide a welcoming haven at the end of an eventful day. Designed with input from guests, they feature thoughtful modern touches such as bedside USB ports, frameless shower doors and customized wood cabinets. Like her sister ship, ms Nieuw Statendam also offers exclusive Family Ocean-view Staterooms that can accommodate up to five people, and specially designed single staterooms for solo travelers.